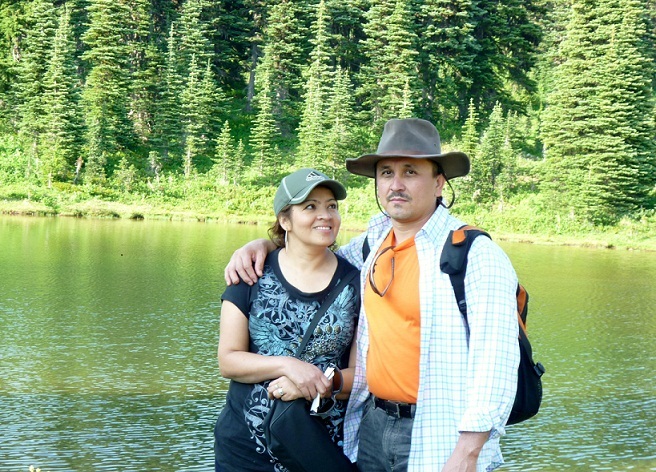 SEATTLE, WA (Los Angeles Press).- Today begin the hunger strike of Mr. Jose Avila for ask help in the release his wife, the American activist Nestora Salgado, who was imprisoned and psychologically tortured in Olinala Guerrero State, Mexico. Nestora Salgado has been wrongfully incarcerated in high security detention center of El Rincon, Nayarit, for crimes she did not commit. She is an American activist of human rights Indigenous people and she organized Community Police to defend oneself the organized crime. She organized to Indigenous people against criminals groups that raped women and forced the young to prostitution y to sell drugs en towns. She is an activist of gender issues like eradication of domestic violence and abuse of children. During the last four years, Nestora Salgado, has been working on improving the quality of life of the most needed in the Olinala town. As coordinator for the Community Police, she made a press release denouncing names and specifics details of ties to Organized crime by the Olinala Major and corruption of Government Authorities of Guerrero State. On august 21, she was detained at a Mexican military check point from where she was taken by helicopter. The USA Consul told that she is in a high security detention center call El Rincon in Tepic, Nayarit, Mexico. Before, she was threatened by phone and harassed by the military at her home. Also, she was threatened by public official, Armando Patrón Jiménez, who showed that he stole evidence of two assassinations in Olinala. Nestora Salgado is a Strong defender of Human Rights. She has been volunteering in Olinala, giving part of her life, committed, in a daily basis, her time and life searching for the truth and justice in her natal town, where the local authorities has become executors of activists and social justice fighters. No person –in Mexico– has been held legally responsible for the abuses committed by Mexican Government against Indigenous people of Guerrero State.